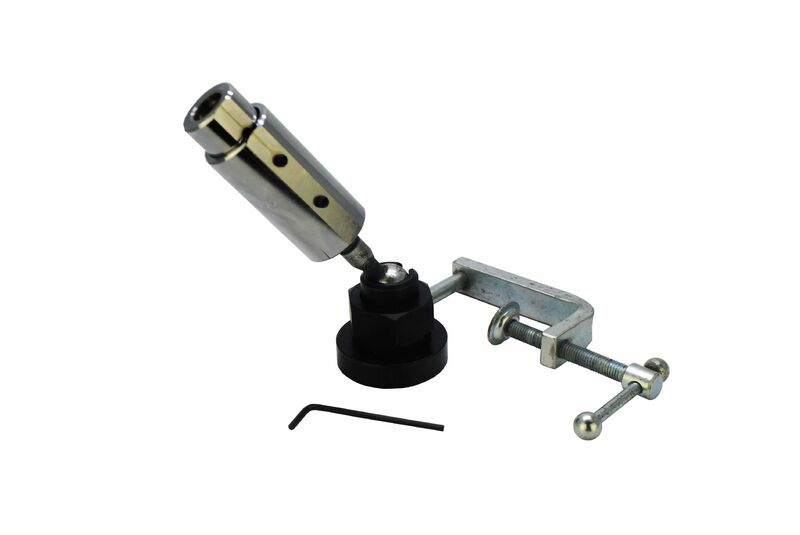 The unique ball and socket provides a 360° swivel/pivot as well as horizontal position with a locking mechanism to hold your mandrel firmly at any angle. Great for wireworking applications and more! Simply screw on your mandrel and work hands-free. This solves the problem of working with the mandrel when both hands are needed. The vise may be clamped to most benches or tabletops with an opening up to 2-1/8". Please note that it is not meant for heavy hammering.